South Carolina — arguably the birthplace of barbecue — is home to four native barbecue sauces: a heavy tomato, a light tomato, a vinegar-pepper, and a mustard-based sauce. 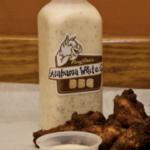 Recently, however, an interloper has crossed the border, and we find ourselves with a fifth sauce: the Alabama White sauce. 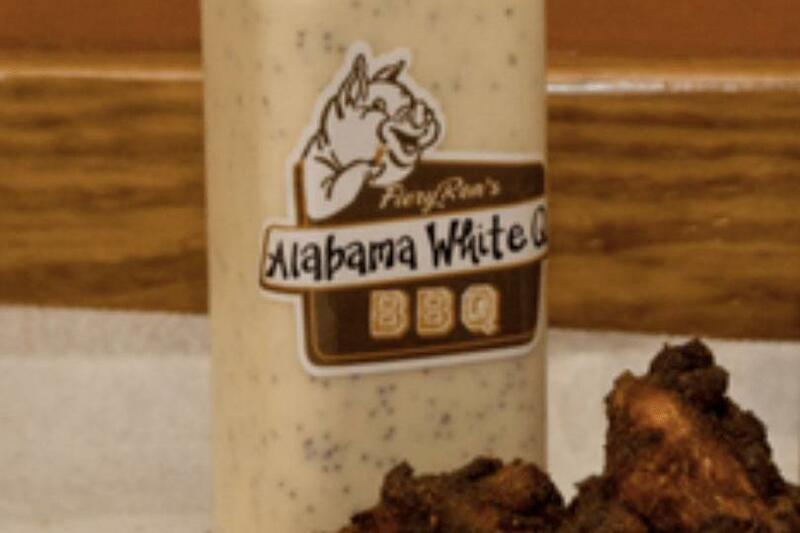 Alabama White is, obviously, a mayonnaise-based sauce that reminds many of a simple coleslaw dressing; however, there is no question that Home Team’s Alabama White is popular on things other than cabbage, especially with their Smoked Chicken Wings. Home Team chef and co-founder Aaron Siegel, who we featured in this interview, provided his recipe for his Smoked Chicken Wings and Alabama White Sauce to starchefs.com. If you’re making the wings, you have to make the sauce, and it won’t take long. We have both the wing and sauce recipe along with over 150 pages more of authentic SCBBQ recipes in our cookbook: SCBBQ Recipes: Going Whole Hog. Home Team BBQ currently has three locations in Charleston — Sullivan’s Island, Downtown, and West Ashley — with other locations opening in Greenville and Columbia. There is also a Home Team in Aspen, CO. In a large bowl, whisk together mayonnaise, vinegar, sugar, salt, pepper, and cayenne. Chill.